Ayr-based accountants KFMCO are well known in the Ayrshire business community for their expertise in providing accountancy services to small owner-managed businesses. Having worked with the company and additionally handing other accountants web design, we were happy to engage with them on a new project to update the kfmco.co.uk website with a fresh design, responsive layout and a back-end with full CMS support. Web Age similarly have extensive experience in working with, advising and supporting small businesses and returning good value, great looking sites. In this case, the site was designed with a clear, concise approach to displaying information about the firm, to make it easy for clients to discover the firm’s services, read testimonials and contact the company. With the site developed on WordPress, the result was a cost-effective but clean and lean solution that is easy to update and manage but would lend that professional touch to any small business. We also set up a blog so KFMCO could easily update the site with their latest news, financial articles and accounting information. 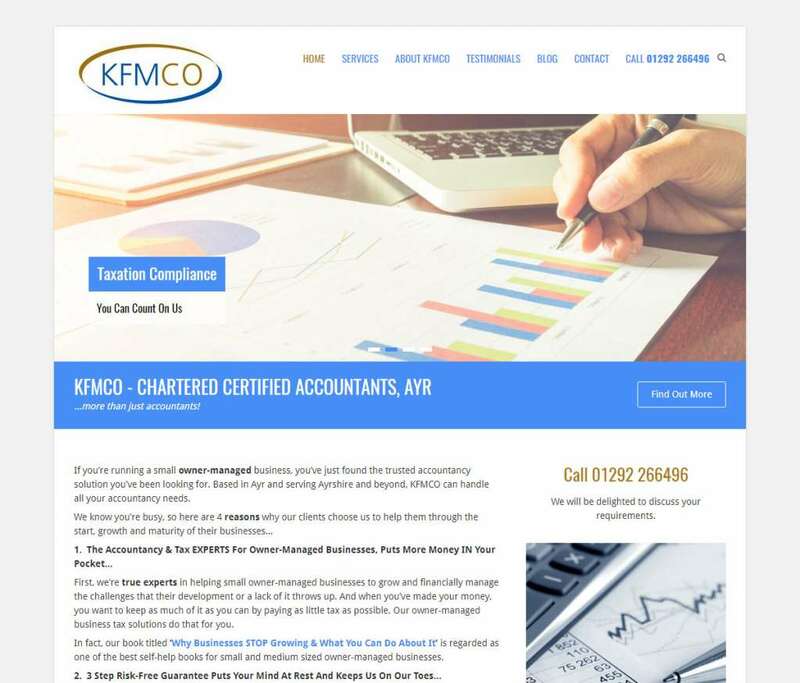 View the finished kfmco.co.uk site and then get in touch with us to discuss your requirements for accountants web design. We have also developed a full range of deals that provide perfect web design packages for small to medium businesses.